By the hour or by the bid. We can also set up a regular maintenance program. Change filter / drain hot water tanks / caulk windows and doors / change lights/ yard clean up etc. We run discounts for repeat customers and referrals. Thank you for looking. Light plumbing and electric, landscaping, drywall repairs, decks, roof repairs, power washing, siding, windows, doors, countertops, texturing walls, painting, installation of ceiling fans, bathroom and kitchen remodel and repair, installation of carpet, laminate flooring, tile, etc., change light fixtures and bulbs, general maintenance, blacktop driveway coating, fencing and repairs, privacy fence,light welding and much much more. 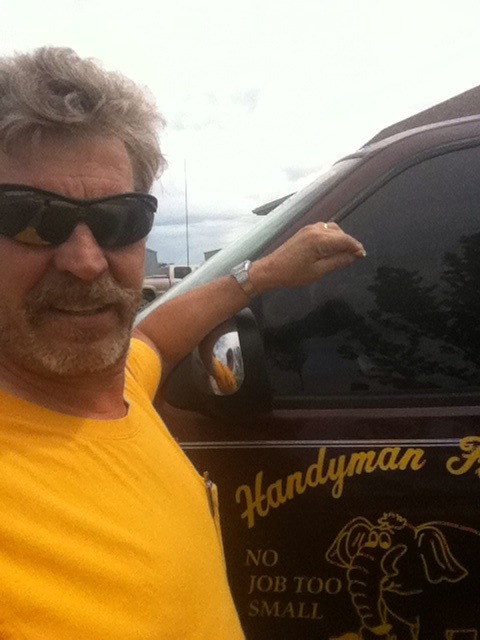 Visit Handyman's profile on Pinterest.